Our online booking software is cloud-based solution ideal for booking hotels, apartments, houses, villas, appointments, tours, and other types of accommodation or events. The front-end of the software is flexible, responsive and compatible with major web platforms. The back-end of the software Allows you to manage your reservations from any device with a browser and Internet. $ 5 Per Month And No Extra Fees Or Commissions, 14 Day Free Trial. Copy the script below and paste it on your web page where you want the Multi-Room Booking Calendar to appear. This script will add a new responsive element to your page; it does not apply any changes to your page. 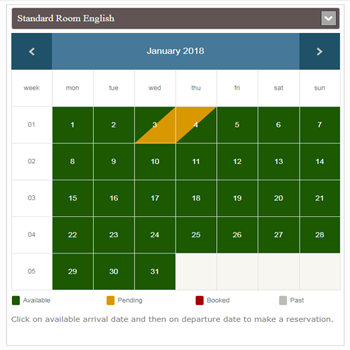 The Multi-Room Booking Calendar front-end software follows the dimensions of its parent element respectively. 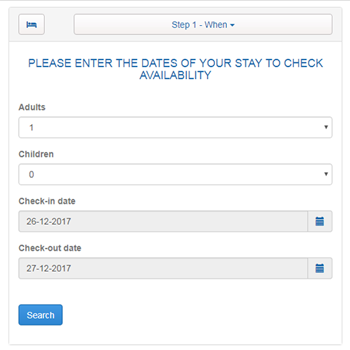 Copy the script below and paste it on your web page where you want the Multi-Room Booking System to appear. This script will add a new responsive element to your page, and it does not apply any changes to your page. The Multi-Room Booking System front-end software follows the dimensions of its parent element respectively. Copy the script below and paste it on your web page where you want the Time slots Booking Calendar to appear. This script will add a new responsive element to your page, and it does not apply any changes to your page. 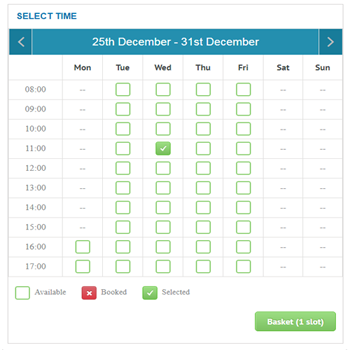 The Time slots Booking Calendar front-end software follows the dimensions of its parent element respectively. All of our front-end software is responsive, which makes your beautiful webpage on all devices (desktops, tablets, and phones). We ensure that our front end software integrates well with major external technologies and web services also in mobile applications with WebView technology. The practical solution to better manage your business, our technical team monitors the reliability of the server 24/24. And also ensures the immediate intervention in case of technical problem, you only have to receive your reservations, and your online payment from any device has internet and a browser. Our expertly trained support team is ready to answer your questions and solve your problems 24/7 via support ticket system which is in the page My Account, we consider all messages as urgent, and our technical team takes action directly after a simple contact from one of our clients. Create different items and/or services which your clients can book. For example a breakfast, airport pickup, or anything else that you offer for multi-room. You can set up your company details, These details will be used for all the invoices that you create. Define active payment methods in invoices. Create a template for your invoices. View, Print and Send Invoices to your customer. Software allow you to create customized Email notifications to be sent automatically to people who make a reservation after reservation form is completed or/and payment is made. You can modify the appearance and change your theme as often as you like. Set designate days of the week or periods as non-working (Off). Define different periods throughout the year and set different booking limits. For example, you may want to allow a minimum of 3 nights bookings during the high season. Thanks ... I’ve enjoyed getting to use your system, and am appreciating how easy it is use. I will be happy to recommend your solution to anyone who needs a personalized booking system in the future. Keep up the good work.